If the idea of getting up at the crack of dawn for Black Friday shopping isn’t your idea of a fun Thanksgiving, you might be better off waiting until Cyber Monday. According to the National Retail Federation, last year over 174 million Americans shopped during the Thanksgiving weekend, and chances are, this year won’t be any different. 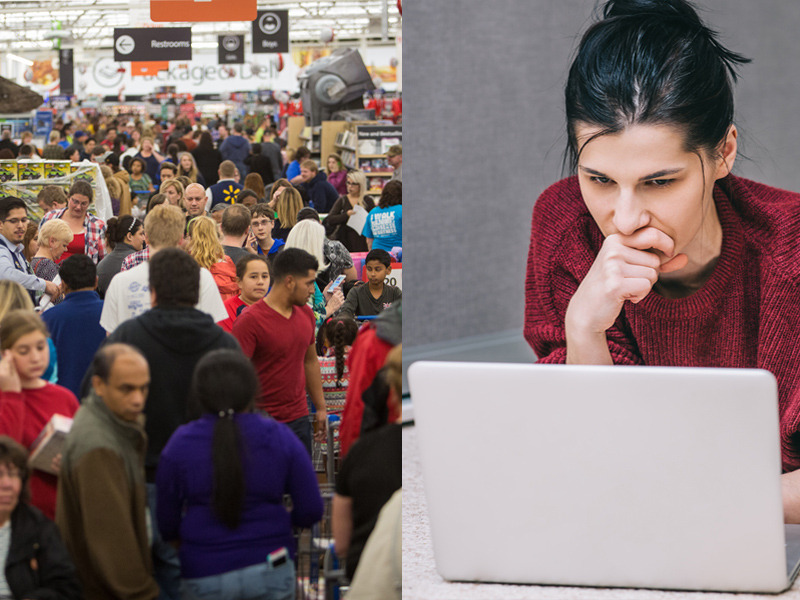 Between the bitter cold, long waits, and large crowds, you might be better off skipping Black Friday this year. Here are 11 reasons why you should avoid the hassle of Black Friday and go shopping on Cyber Monday instead. You can skip the 4 a.m. wake-up call. With some Black Friday sales starting as early as 5 a.m., people begin lining up super early to be the first ones in the store. Cyber Monday means you can wake up at a reasonable time and still score some great deals – no 4 a.m. wake-up call required. Comparing prices is as easy as the click of a mouse. When you’re caught up in the excitement of Black Friday, you probably don’t think to compare with other stores to ensure you’re getting the best prices. On Cyber Monday, you can quickly check what other businesses are offering and compare their deals just by opening a new tab. Black Friday deals don’t end on Friday. Many stores continue their Black Friday sales through the entire weekend and online, so bundling up to combat the frigid temperatures and huge crowds might not be necessary. Get those same steals from the comfort of your home on Cyber Monday.